Looking to buy a new car? Have you been wanting to upgrade your vehicle to something your whole family can use? With a RoadLoans Online Auto Loan, you can do all of this and more. RoadLoans gives you competitive rates and prepares multiples offers for your unique car buying needs. To find out how you can apply for this loan today, read on. RoadLoans takes pride in giving you some of the best deals on the market. By preparing multiple offers, they can help anticipate all of your vehicle requirements whilst staying within budget. Through their comprehensive search, you can look for factors that matter to you such as low auto loan rates! Another advantage you’re sure to appreciate is their ability to give you ease of application. All you need to do is apply for auto loans online and seek pre-approval! Qualified applicants can get pre-approved for vehicle financing even from the comfort of your own home. It’s that easy. With this feature, you can say goodbye to long handwritten applications and even longer waiting days. Even better, should your loan be approved, you’ll be glad to know that their favourable response will contain multiple offers. To top it all off, they will provide a list of carefully selected dealers nearby which can attend to your needs. 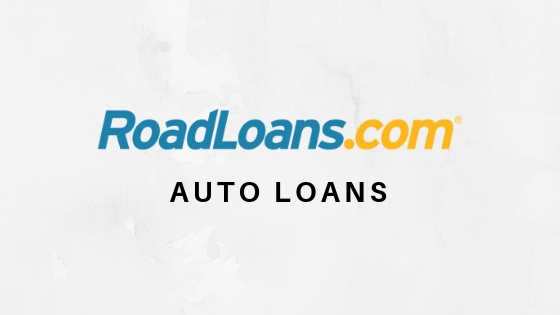 As a financing company, RoadLoans sees to it that they work with a wide network which covers more than 14,000 dealerships across the United States. As a result, you are sure to get the best deals designed to fit your budget and your specifications. Getting a RoadLoans Online Auto Loan is fairly simple. In fact, applying through their website will take just a few minutes. You can even receive a decision in just a few seconds! To apply, you need to be at least 18 years of age and have a minimum monthly income of at least $1,800 per month. Remember, RoadLoans DOES NOT provide services in Alaska, Hawaii, Mississippi, Nevada, and New Hampshire. Other documents you need to prepare include your personal details, home address, Social Security number, annual income, and details of your co-applicant if applicable. The vehicle must also have a clear and clean title. If approved, you can take out a minimum loan amount starting from $5,000 to $75,000. The interest rates and APRs for car loans vary from one dealer to another. There are no application charges, payoff fees, or hidden charges for RoadLoans auto loans. For example, for a loan amount of $5,000 with a fixed term of 12 months, 0% APR and $0 down payment, you would need to pay $416.67 per month. For all your car financing needs, a RoadLoans Online Auto Loan might just be the answer you are looking for. With its easy application process and comprehensive list of dealers, you will certainly find the vehicle of your dreams in no time. Apply now! Avant Online Personal Loan – How to Apply?